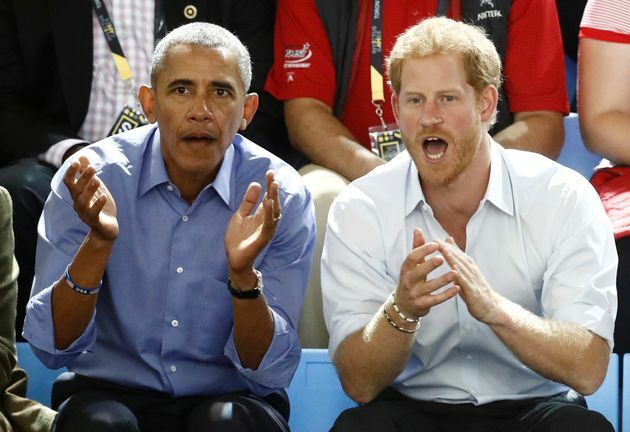 It looks like Prince Harry had some fun watching wheelchair basketball with former President Barack Obama and the Bidens. 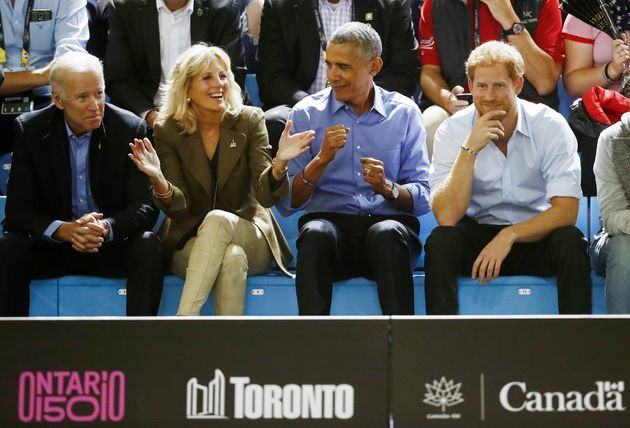 Harry was sitting with Obama, former Vice President Joe Biden and Dr. Jill Biden in the stands at the Invictus Games in Toronto. The foursome were rooting on the athletes during the USA vs. France wheelchair basketball game Friday. The four also all took photos with Team USA before the matchup. 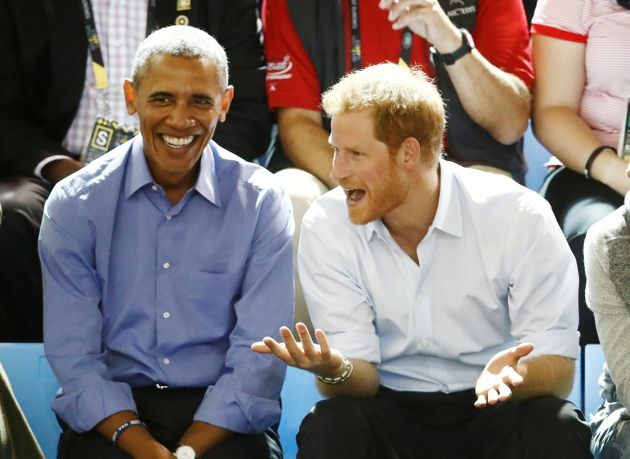 An international sports competition for wounded veterans across the globe, the Invictus Games were founded by Britain's Prince Harry in 2014 after he attended the Warrior Games in the United States. The Obama and Biden families have long supported the international competition. The Bidens attended the games in Orlando, Florida, in 2016, and former first lady Michelle Obama helped open the second Invictus Games, where she and Prince Harry exchanged many, many hugs. This year, more than 500 athletes from 17 nations will participate in 12 adaptive sports, including basketball, rugby and indoor rowing. And, judging from the photos, the prince of Wales definitely enjoyed having the former U.S. leaders with him. Here he was, dropping some jokes at the basketball game. Maybe reminding Obama of their viral Twitter feud before the games last year. 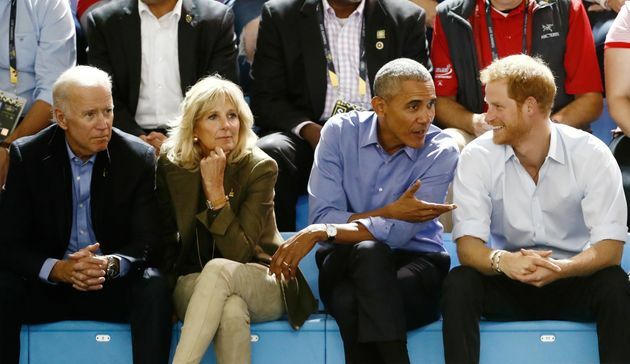 While the prince and Obama were chatting, Uncle Joe and the former second lady seemed to be seriously assessing the situation on the court. But eventually everyone got their heads into the game. And just in case you were worried, the bromance appeared to be very much alive between Obama and his former veep. 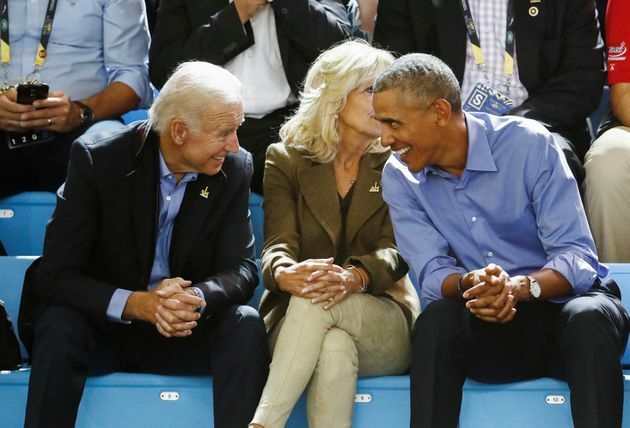 Find someone who will look at you the way Joe looks at Barack. But Dr. Biden didn't seem worried, and Obama looked thoroughly entertained.